Do you remember your first doll? 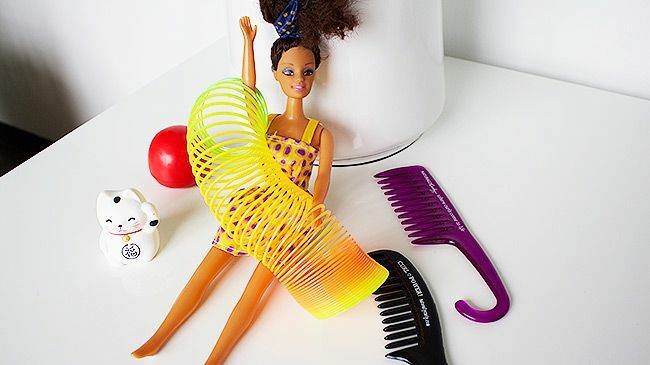 Do you remember wanting to comb and brush her hair with those tiny plastic implements that were strategically displayed in her toy box casing? Do you remember the day you graduated her hair styling routine from miniature combs and brushes to full-sized boar's hair bristle brushes, bobby pins and barrettes, and your grandmother's orange plastic comb, a routine that slightly mimicked your own? Do you remember braiding her hair? From meticulously fashioned plaits to the simple elegance of the French braid, you were thrilled to practice these styles on your doll's hair because one day soon, you'd be old enough to get a perm, just like your mom, grandma, and aunties. She was a household name. She was a general store copycat. She was passed down to you from your eldest cousin. Above all else, she was your friend who you told all your childhood dreams to, who you wanted to model yourself after (second to your mother, of course), and who you saw yourself in. However, it was difficult to see yourself in this inanimate woman, with skin and hair that was the complete antithesis of your being. Her distinct facial features opposed your prominent nose and big brown eyes. Her fair to almond shell colored skin paled to your mahogany, and sometimes ebony when the sun kissed you for too long. Most notably, her long, flowing hair was bone straight and absolutely nothing like your ‘nappy hair’ as the women in your family described it. 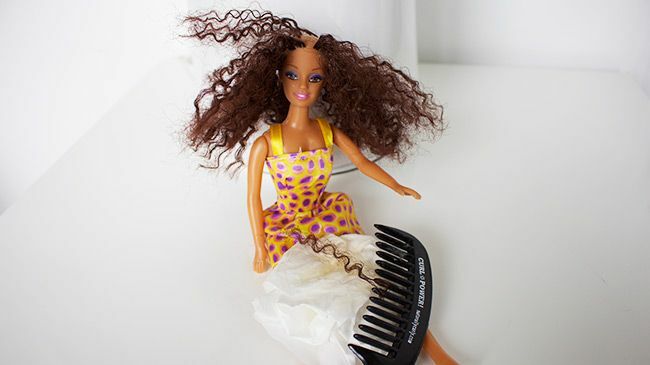 Even though your hair didn’t look like your doll’s, you wanted it to because deep down inside, you felt that her hair was more beautiful than your own. Then, that fated day came: Your first perm. Upon the first sting, your scalp and those intense chemical fumes felt foreign to you. Is this right? Why does this burn? Seriously... this really hurts. Will my mom be mad at me if I cry? I can't help it... this hurts! Please, make it stop! Yes. It's that rueful day that we all remember so well. 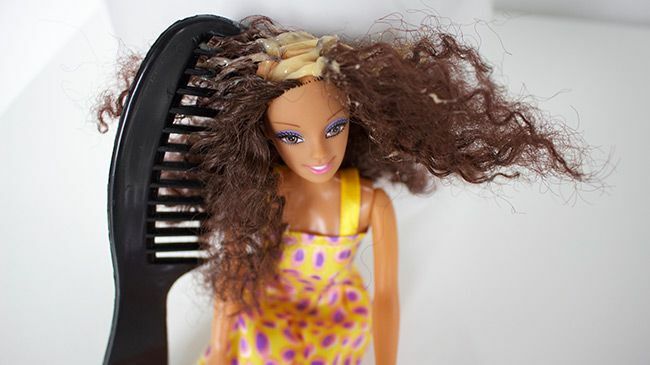 It was a day that introduced a disconnect between your hair’s true, natural state and overwhelming societal norms centered around immovable beauty standards. From then on you were referred to as 'tender headed' and learned how to sit patiently while your chemically straightened hair was further fried into submission by crimping irons and clamping paddles. You didn't dare move an inch if a scalding hot curling iron was mere centimeters from your ear, even when you heard the crackling of your hair strands under its ferocious grip. It was a day you regretted, but had absolutely no control over. Will you pass on this painful legacy to your children or will you help them embrace their natural hair and teach them how to love and care for it? Mothers were taught these societal norms and passed them down to us. This trickle down effect has taught children in the African-American community that chemically straightened hair is beautiful, and that natural hair is an abomination. It has been ingrained in us that our hair needs to be 'fixed' because something is wrong with it... which means that obviously, something must be wrong with us. Today's mothers, with the help of Mielle Organics, are rewriting this decades-old script with the #OrganicConversations campaign that is sweeping the African-American community by storm. This campaign highlights mothers from every walk of life who are determined to empower their daughters to embrace their natural curl patterns and hair textures. Some of these mothers have straightened hair and are still fiercely supportive of their children’s natural hair. 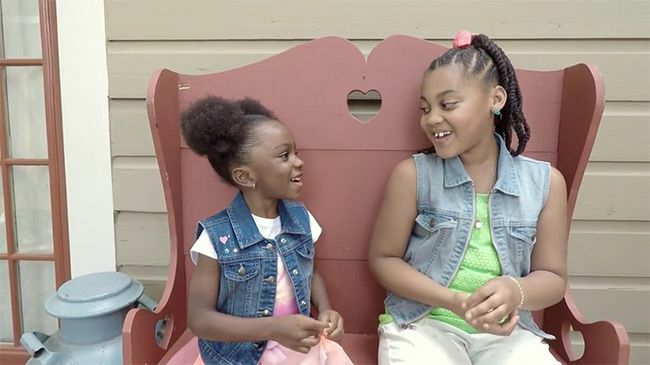 "From the very beginning, I was telling her how pretty her hair was and just going over and above about her big pretty hair and how different it is because I did not want her to feel different in a bad way," said Melva, one of the four mothers featured in the Mielle Organics video,"I wanted her to embrace that difference and own it, and she definitely has done that!" Each product, including the Children’s Hair & Healthy Vitamins, was formulated to be gentle for children. Sacha Inchi Oil, a South American superfood that contains Omega-3 fatty acids, proteins and antioxidants, is the driving ingredient in each of Mielle’s hair maintenance products for children. "So we tried the new product line on last Thursday - wash day! So, by far the most impressive product out of all of them were the spray," exclaimed Jessica, "We literally sprayed it on pre-wash and magically we could brush through her hair as if it were straight - It was like magic!!" What parent wouldn’t want to nourish their child with this much goodness? The answer to decades long societal norms and pressures is to continue these #OrganicConversations with your mothers, daughters, sisters, aunts, and every family member that loves and cares for your children so that they may flourish in every conceivable way. Start your own conversations or contribute to current ones by following our trusted sponsor on Instagram and Facebook. Learn more about Mielle Organics Founder, Monique Rodriguez now. You’ll learn how the registered nurse, wife and mother of two girls navigated her family’s healthy hair journey with organic ingredients-based products. You’ll also get inspired to help your children embrace their natural curl pattern and hair texture with the help of organic products designed by a mom you can trust. Do you want more stories like the ones featured in Mielle Organics’ thought provoking video series? Share your thoughts and comments in the comments section below this post.